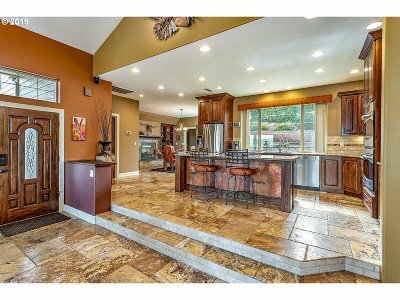 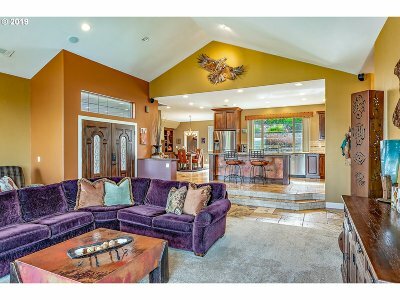 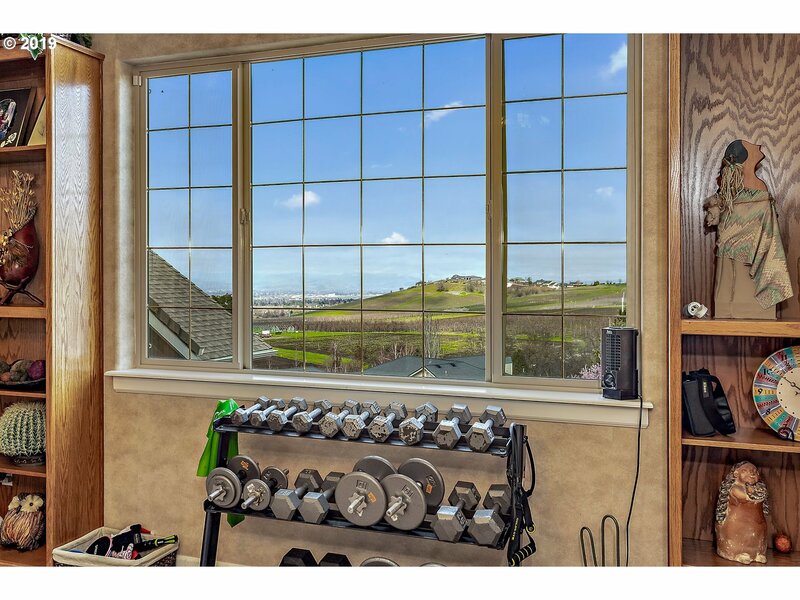 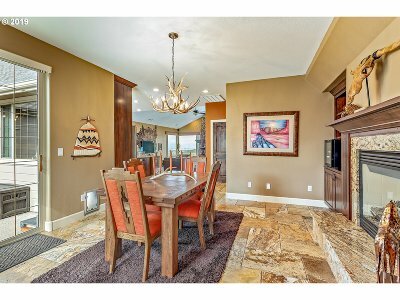 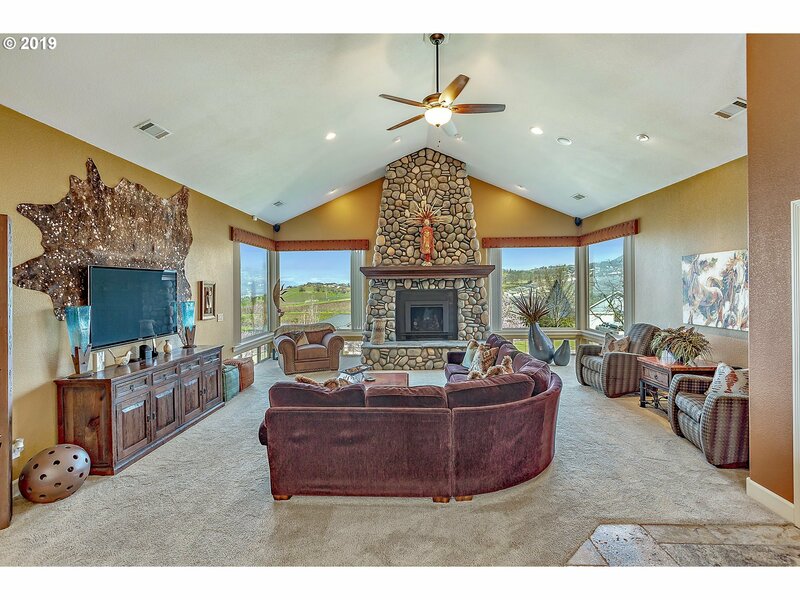 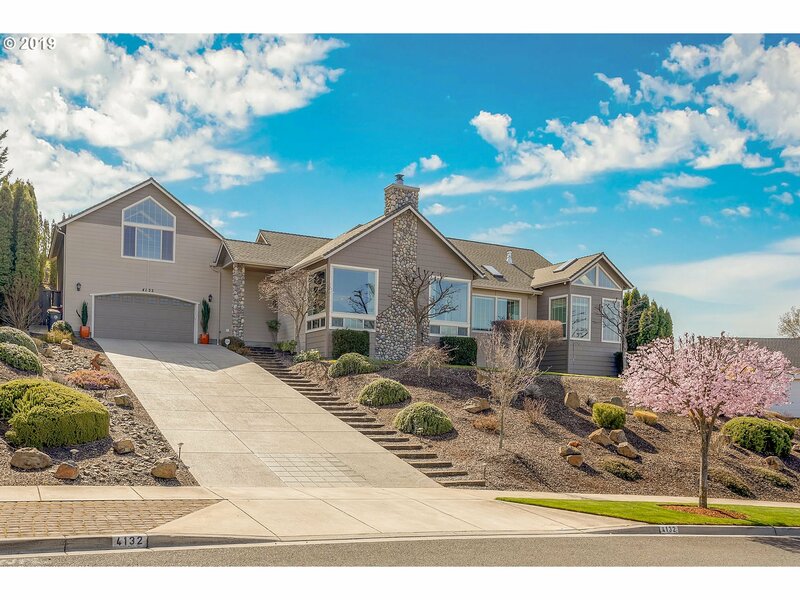 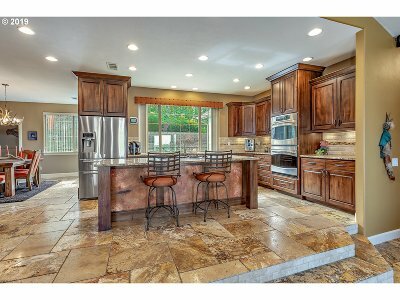 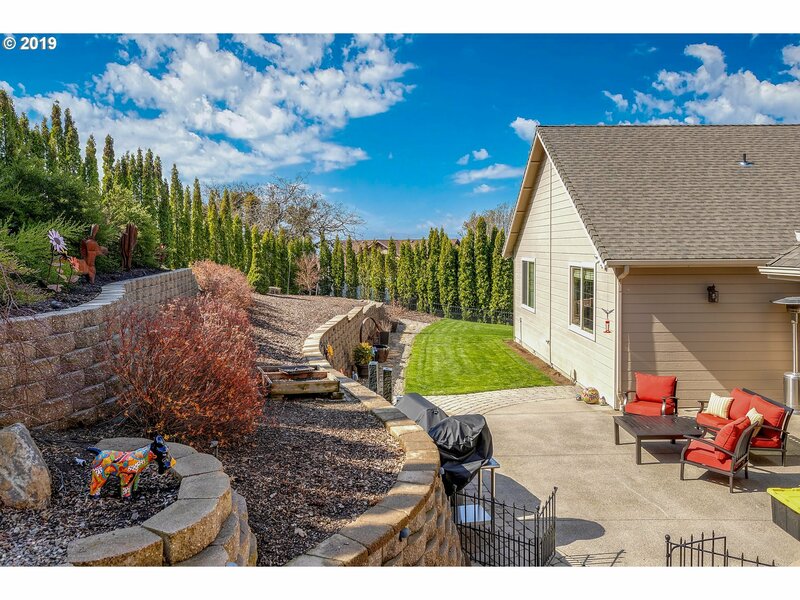 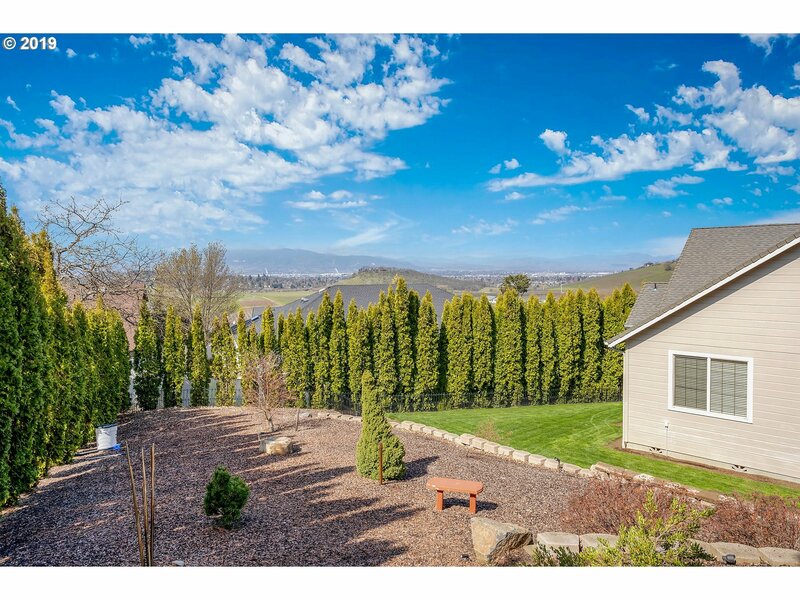 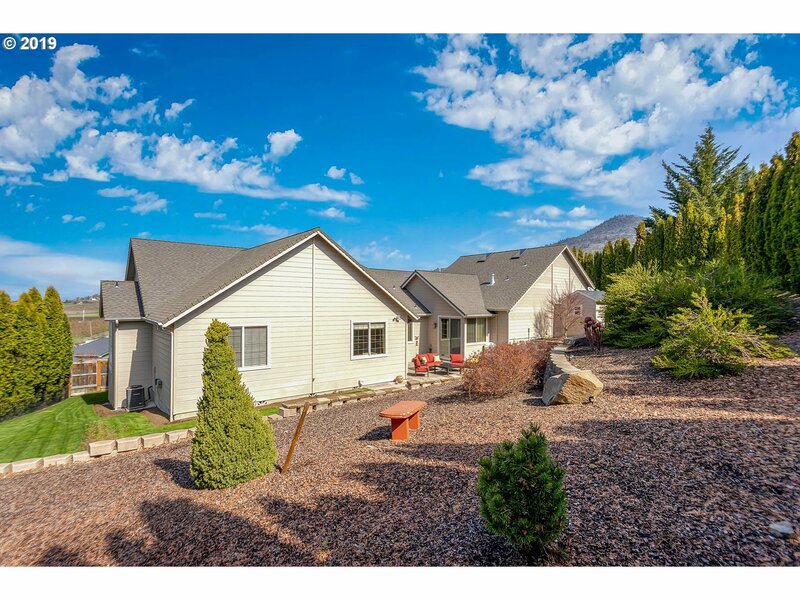 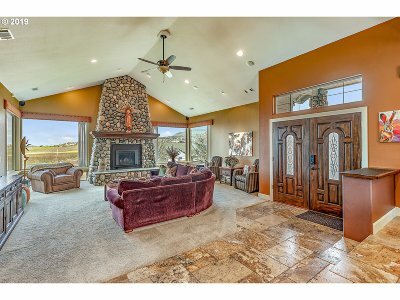 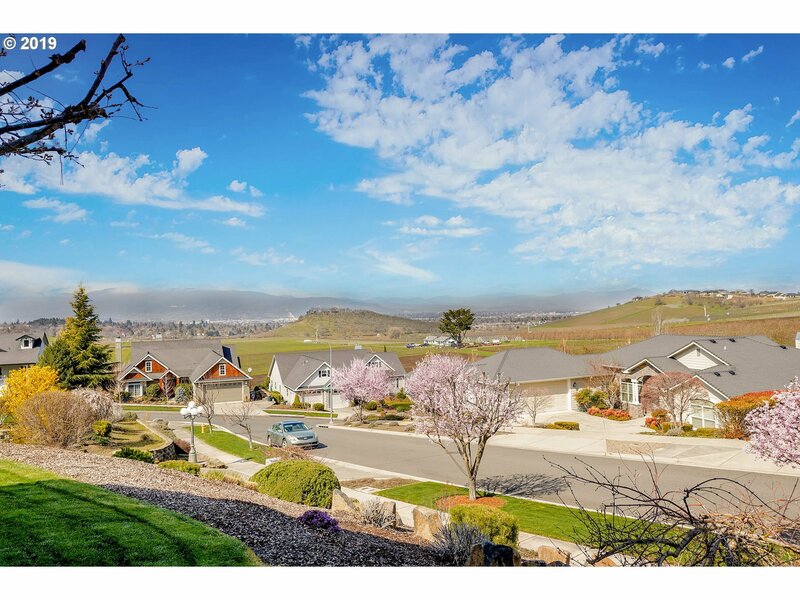 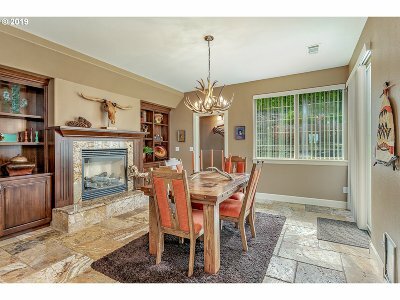 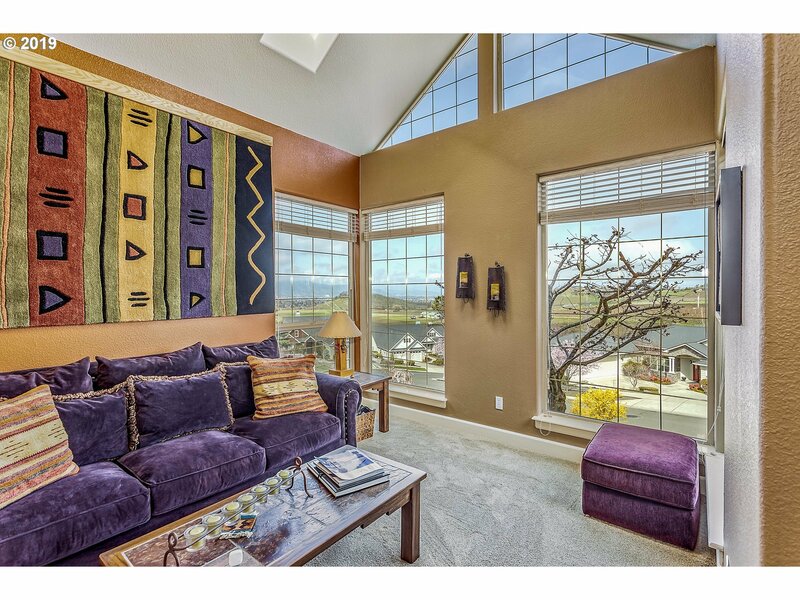 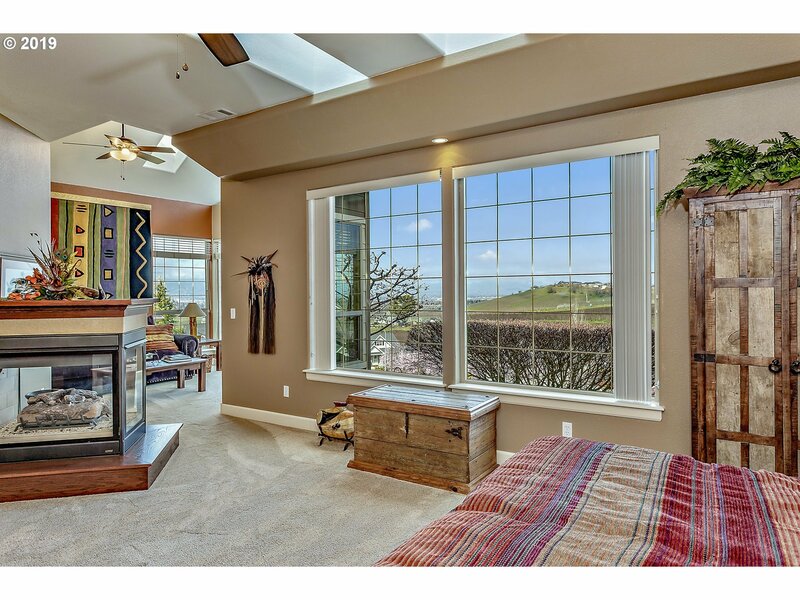 This incredible East Medford home, faces West and overlooks the RoxyAnn Vineyard and Rogue Valley! 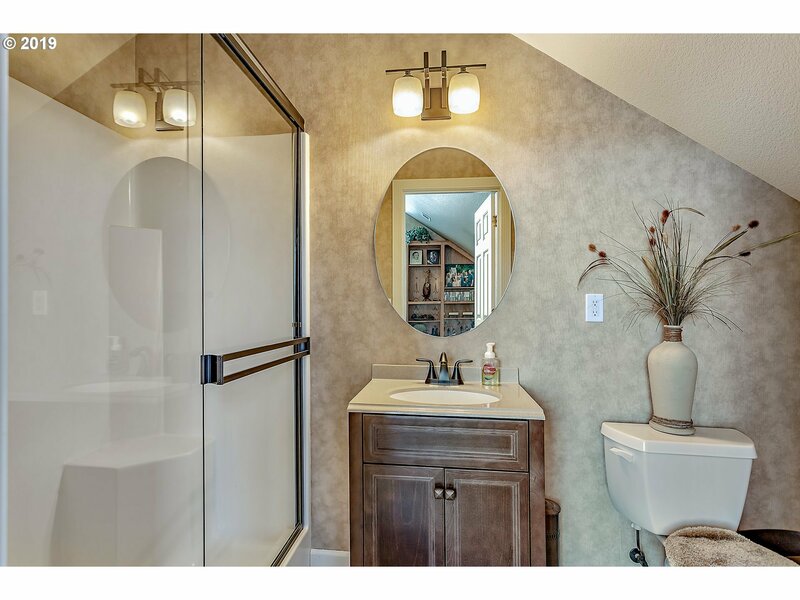 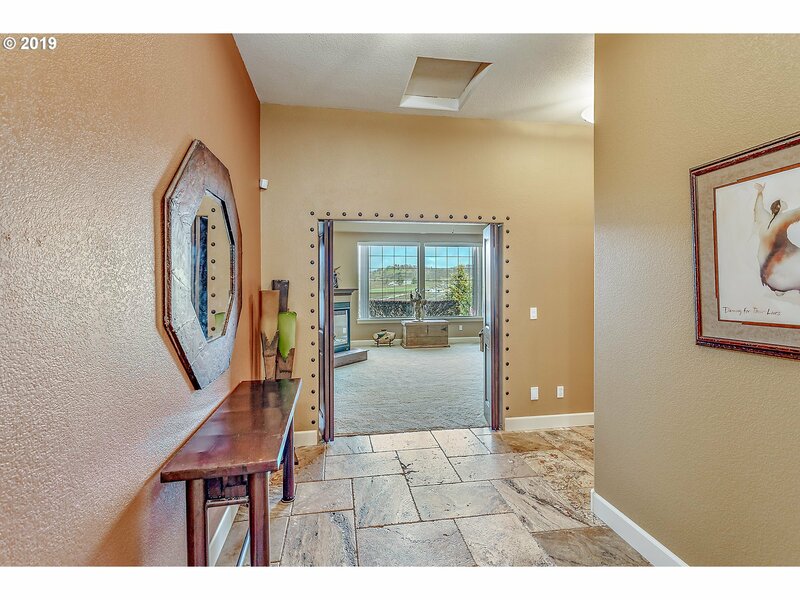 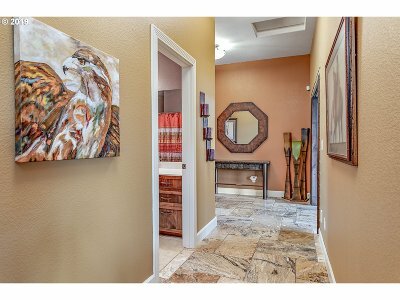 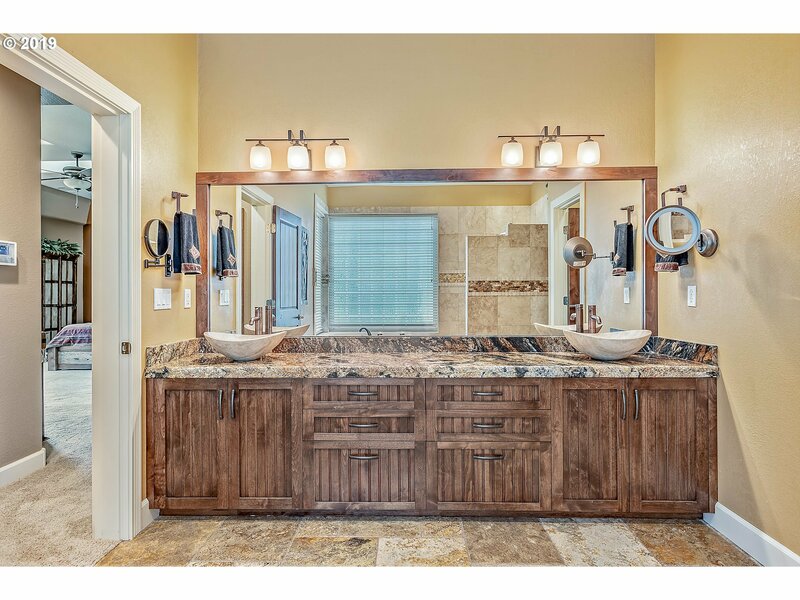 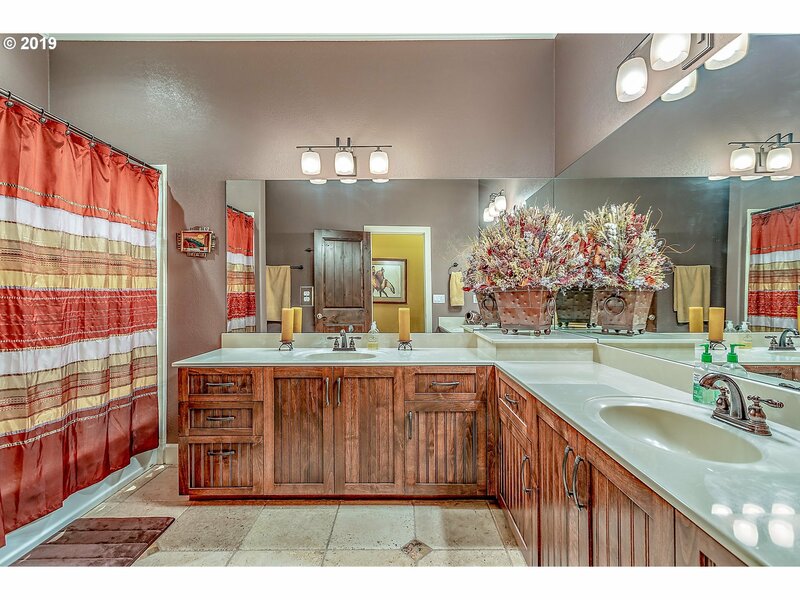 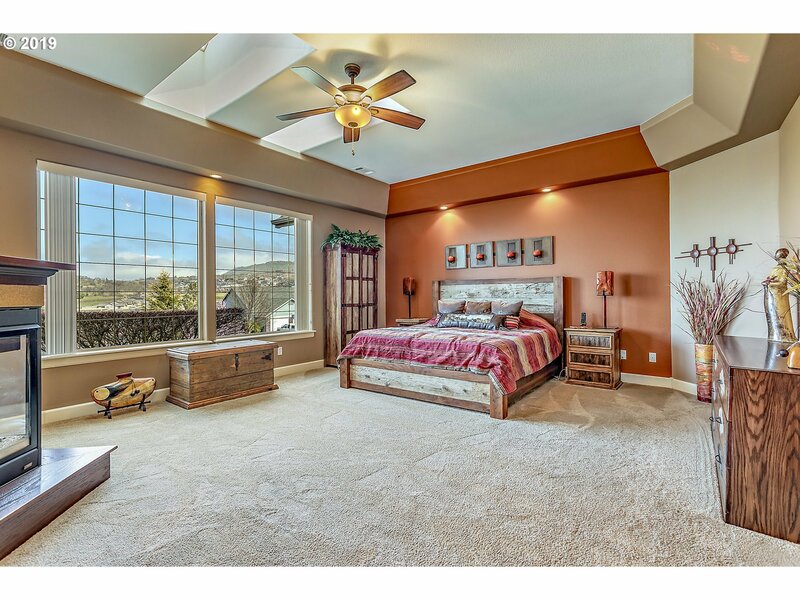 This custom, open floor plan house has travertine stone tile floors throughout the house. 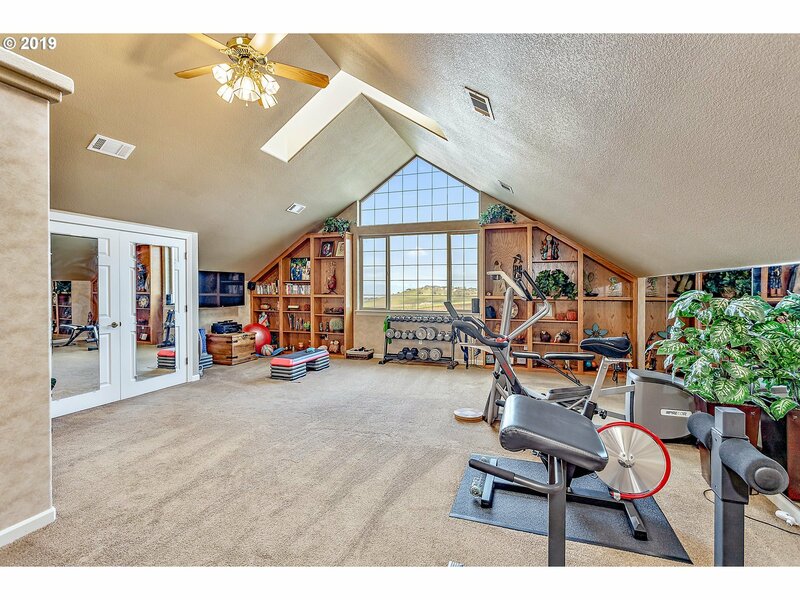 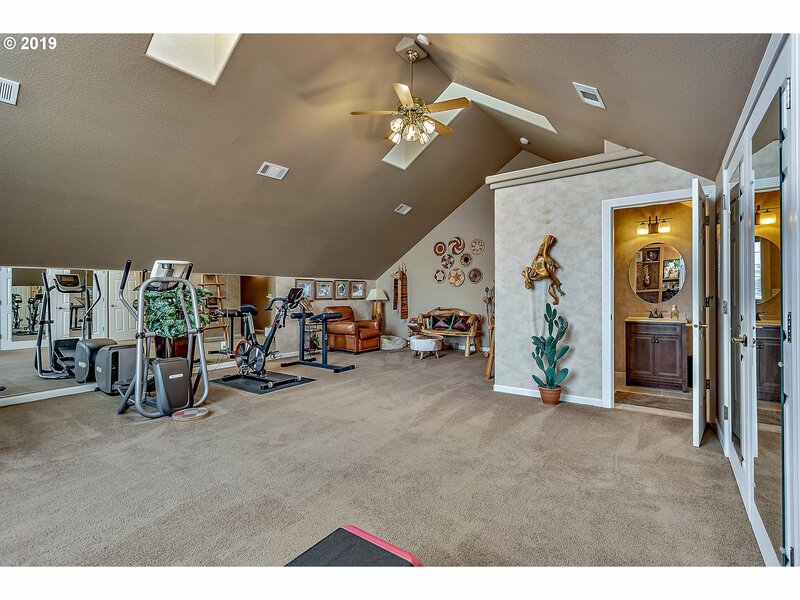 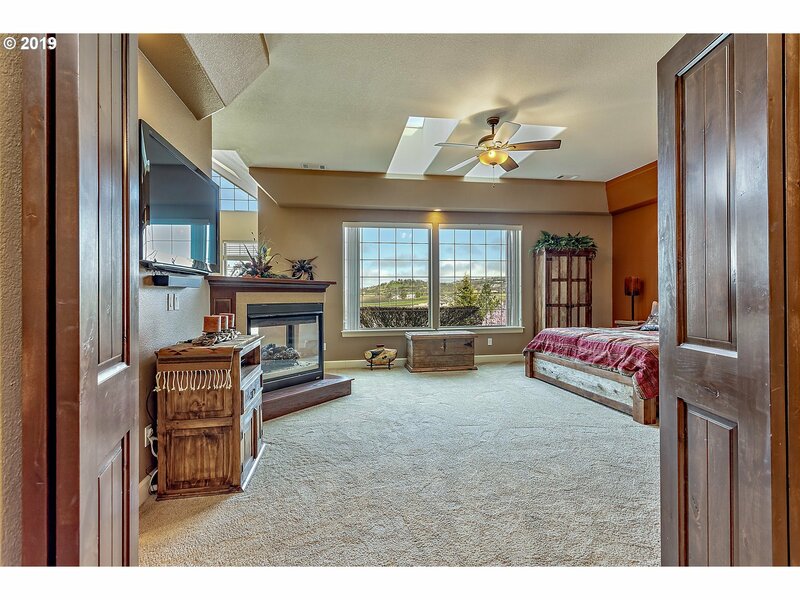 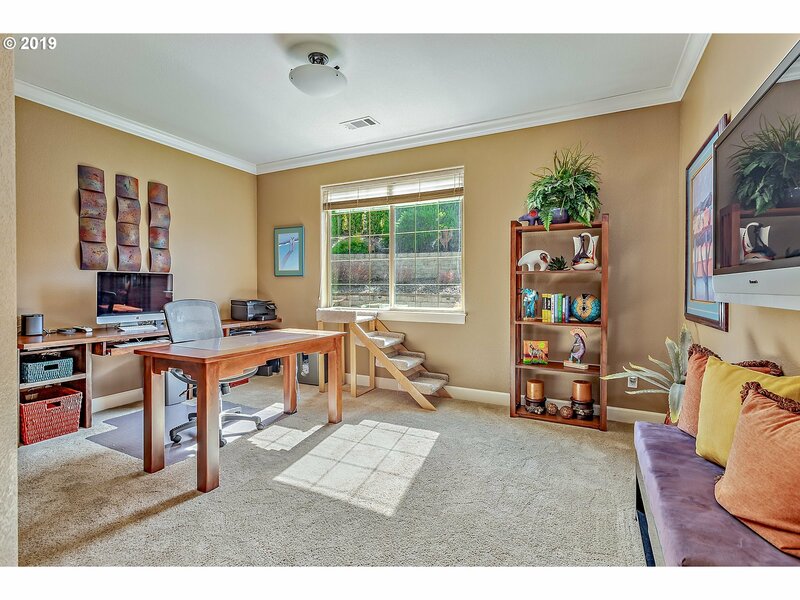 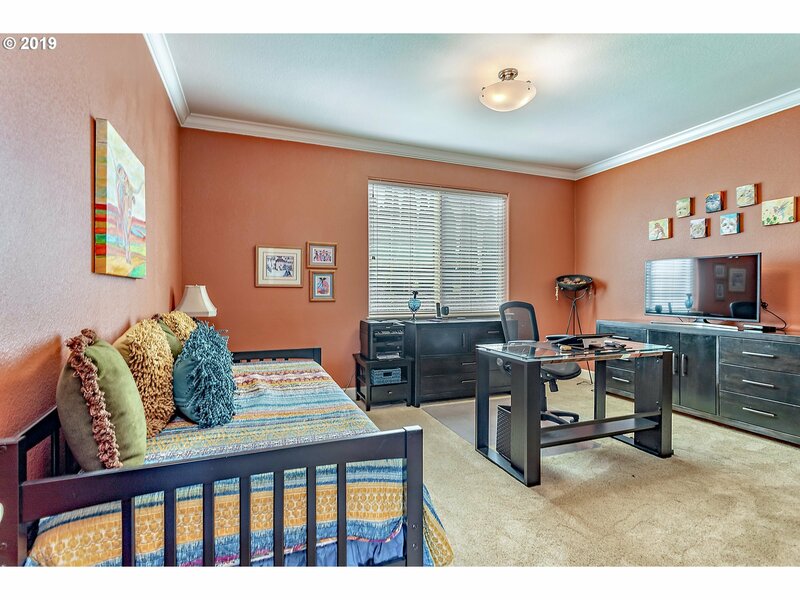 Only the living room and bedrooms have carpet. 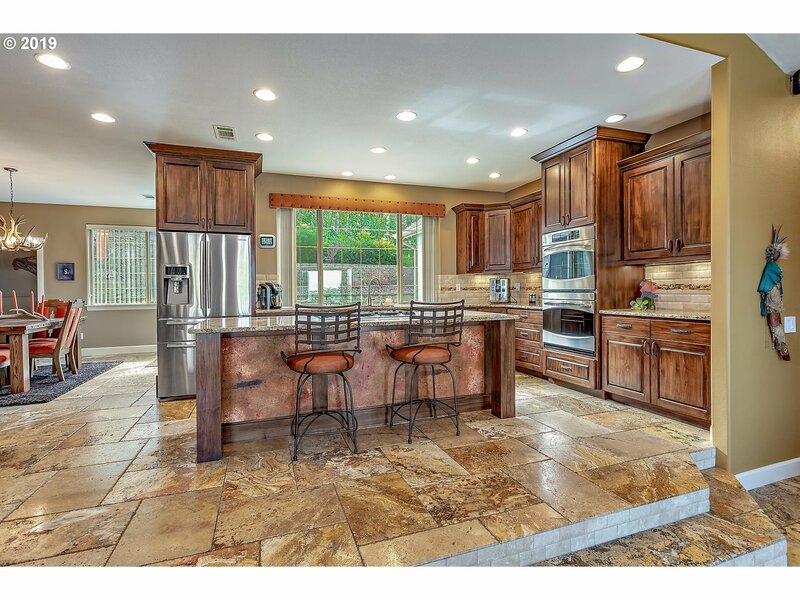 The entire kitchen has travertine kitchen countertops (that match the floor) with new maple cabinets. The island has a down draft gas burner range and there is a fireplace in the dining room!